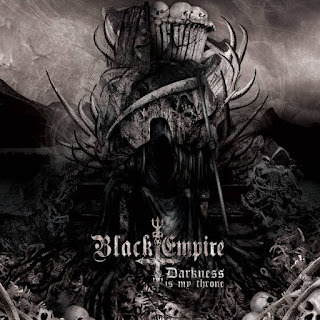 Black Empire are a band from Quebec, Canada that plays a very raw, and melodic form of black metal and this is a review of their self released 2015 album "Darkness Is my Throne". A very fast, raw and melodic black metal sound starts off the album along with some grim screams and blast beats and the solos and leads also use a great amount of melody and the songs also bring in a great mixture of slow, mid paced and fast parts and some of the tracks bring in a small amount of sound effects. Some of the vocals bring in elements of death metal and you can hear quite a bit of the 90's Swedish black metal sound in the bands musical style while also bringing in more of a modern take of that genre and most of the songs stick to a heavy, raw and melodic musical direction while a later track does bring in a small amount of acoustic guitars and spoken word parts before making a return back to a heavier direction on the following tracks. Black Empire plays a style of black metal that can be very fast and raw at times while at other times the music can also be very melodic, the production sounds very powerful for being a self released recording while the lyrics cover War, Satan, Mankind and Darkness themes. 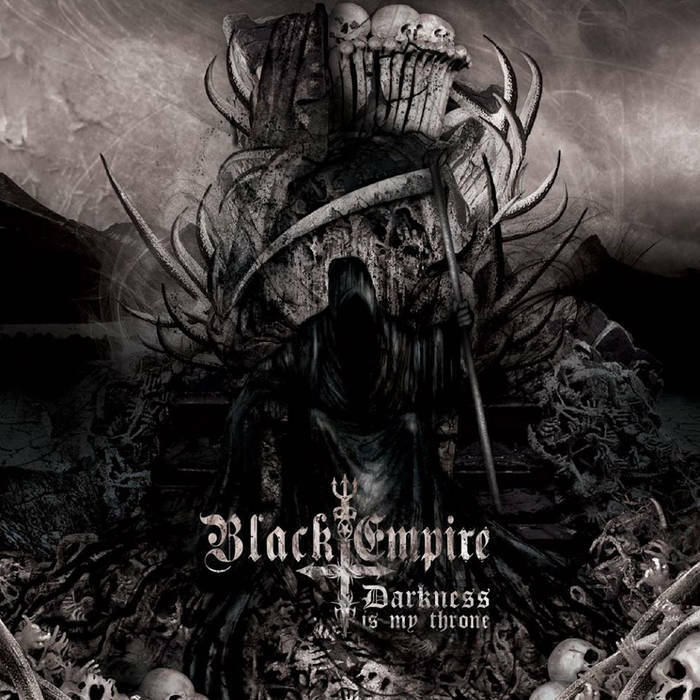 In my opinion Black Empire are a very great sounding raw and melodic black metal band and if you are a fan of this musical genre, you should check out this recording. RECOMMENDED TRACKS INCLUDE "Eclipse" "Darkness Is My Throne" "Soulstorm" and "In Memoriam". 8 out of 10.